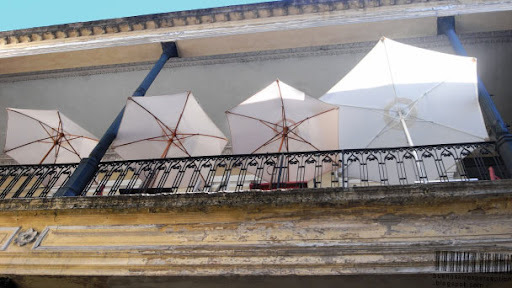 The four sunny umbrellas belong to a café in the lovely Pasaje de la Defensa upstairs in the second patio. You'll find the colonial building at 1179 Calle Defensa in San Telmo. Whether it is a coffee break or shopping break, enjoy the historic building.